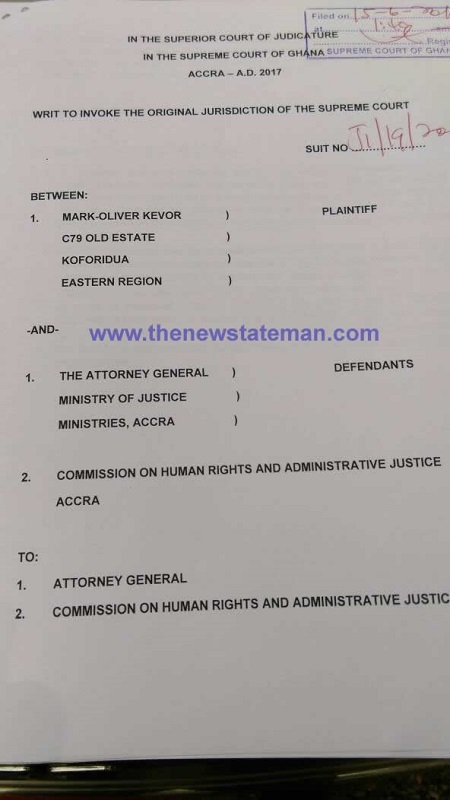 A citizen of Koforidua in the Eastern, Mr. Mark-Oliver Kevor has dragged the Government of Ghana and the Commission for Human rights and administrative justice to the highest court of Ghana over the controversial 2.25bn dollars bond that has hit Ghana over the past 2 months. The murky and shady deal that has hit Ghana so hard that investors are beginning to fear buying GoG BONDS has attracted widespread condemnation from industry experts. 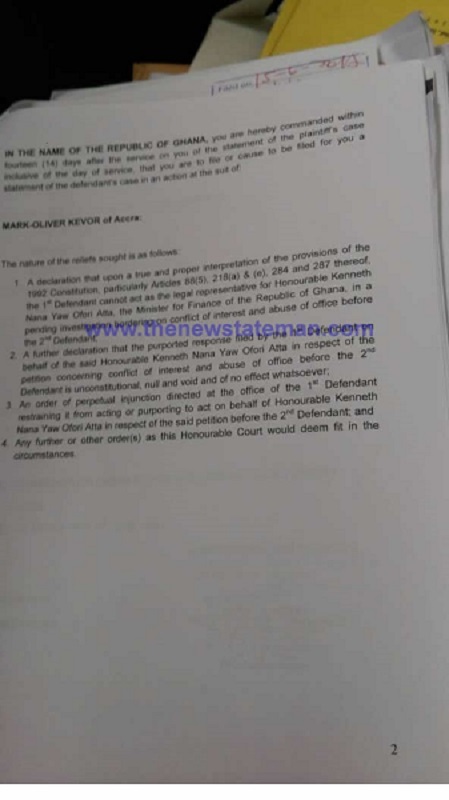 Mr. Kevor is asking the Supreme court to rule that the A-G who is the principal legal representative of the Government of Ghana cannot in the same manner act as the private legal representative for Mr. Ken Ofori Attah, cousin of the President and also minister of Finance based on articles 88(5), 218(a) and (e), 284 and 287. He is asking the Supreme Court to restrain the Hon Attorney General from acting as the legal representative of the Finance minister in a petition before CHRAJ.